Absenteeism is soaring in the first month of school, due largely to concerns about influenza and H1N1, or swine flu, Frisco Independent School District officials said. The district, like many others across North Texas, is reporting a lot of students are simply at home sick. At Clark Middle School 10 percent of the student body is currently out sick with various flu-like symptoms, which prompted school administrators to send a letter home with parents Tuesday. "We're seeing increasing flu-like symptoms at the school and we'd like you to continue to be watchful of your child," FISD spokeswoman Shawna Mckay said. The rate of school absenteeism is normal between 0 and 5 percent countywide, and it's not just flu or even swine flu keeping kids out, according to Peggy Witte, with the Collin County Health Department. The Texas Health Department has declared that flu is widespread across Texas. Schools urge students to stay home and pharmacies are seeing a shortage of Tamiflu. "Is there an increase? For the most part it's very slight," she said. "It's just that time of year so they just need to be proactive." Hospitals across North Texas have been reporting an increase in patients with flu-like illnesses. Children's Medical Center Dallas and Children's Medical Center at Legacy in Plano have now established visitation restrictions. Meanwhile, some pharmacies in North Texas have run out of Tamiflu, the main prescription medicine for treating the flu. The government has stockpiles of the drug, but there are no plans right now to access them. 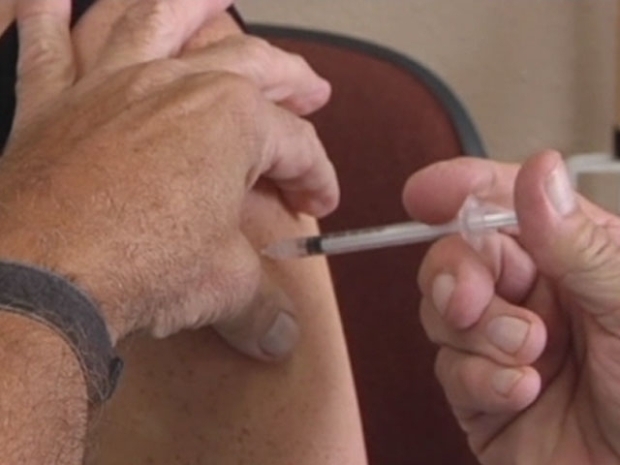 Some experts are predicting the worst flu season in a long time. "It could probably be the worst flu season in decades," said Lewis Hall, owner of Halls Pharmacy in Fort Worth since 1974. "The flu just now has had a major outbreak." The Texas health department on Tuesday declared the flu "widespread" across the state -- its highest classification. Flu vaccinations should keep the number of children getting sick down, but parents like Amy Bryant say illness is to be expected at the start of a school year. "They just rest, get plenty of fluids and in a few days they're back," she said.